Retargeting has become a critical component of the digital marketing mix, especially for local businesses. It’s in a company’s best interest to utilize retargeting platforms, because they increase brand exposure to potential customers that have already shown an interest in buying your products and services. While you may not have heard the term retargeting before, you may have already seen it in action. If you are browsing the web and see an ad promoting a product or website you just visited, that is retargeting. Retargeting is essentially a type of advertising strategy that lets your ads ‘follow’ your website visitors around the web. It is an extremely popular strategy that many big brands are now using for one simple reason: it works. Remarketing or retargeting, when done right, can result in better conversion rates, increased brand recognition, and improved advertising ROI. Retargeting is a powerful tool for both big and small companies alike. No matter what your budget, retargeting can help you look bigger than you are online and increase your conversion rates. Other marketing avenues may be too expensive for small businesses. With retargeting, local small businesses can create the impression of online ubiquity by only serving ads to people who have already expressed interest in their brand. While the outcome is the same– the appearance that your company is huge and has incredible online reach– your spend will only be a fraction of that of your largest competitors. The trick is to target the right demographic. If you have ever bemoaned the number of visitors who leave your site and abandon a full shopping cart, you are going to love retargeting! Ad retargeting brings 26% of lost customers back to complete their purchase. 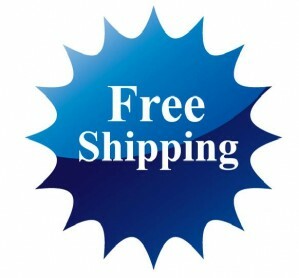 Try offering a discount or free shipping to entice customers to come back and complete the checkout process. Perhaps the product or service your visitor looked at wasn’t right for them. With retargeting, you can feature similar products or services they may not have found while on your site, but could potentially be interested in. This could be a product sample, related eBook, or even free shipping. The point is to entice them back to your site by offering something of value. This can also be a great way to get these visitors into your funnel and email list. Retargeting can also be a great way to reach out to existing customers to entice them to buy products related to what they have already bought. For instance, for customers who have already purchased cameras from you, you could promote camera accessories like tripods or carrying cases. Another option is to offer an exclusive promotion to previous customers. Because this won’t be available to the general public, you can offer deeper discounts on related products in order to drive previous customers back to your site. 4. Offer Precision Targeting to specific demographics. With retargeting, you are not using a one-size fits all approach. You are displaying ads to people who have already expressed interest by meeting the criteria you choose, such as visiting a specific web page or adding something to a shopping cart. Since this is already known, it is now much easier to create an ad that is targeted only to your specific demographic. If the strategies above feel a bit overwhelming, no problem! Start by simply creating a remarketing campaign aimed at all visitors that come to your site. Entice them back by offering value through a free eBook, free shipping, or even a great piece of relevant content. 6. Use SEO resources already available. Retargeting is a powerful strategy that all business owners should be incorporating into their marketing mix. Using an SEO company that specializes in retargeting may get you the best results. And if you are already using a company for SEO, it may be included in your SEO campaign or it may be an affordable add on that any small business can use. Pick a marketing company that knows to limit the number of impressions a user sees so that your brand stays top of mind without being annoying by using burn codes and a frequency cap. These tips should help you understand how retargeting can work for your company. When used correctly, retargeting serves as a valuable component of your marketing mix. As a small local business, you now know that retargeting works for businesses of all sizes and brands of all kinds. If it isn’t already, make sure retargeting is part of your digital marketing budget in 2015.